I own a total of five Xbox 360s. Four of them have died. Three because of the Red Ring of Death, all out of warranty. Many have had serial Xbox 360 failures, I had them in parallel. 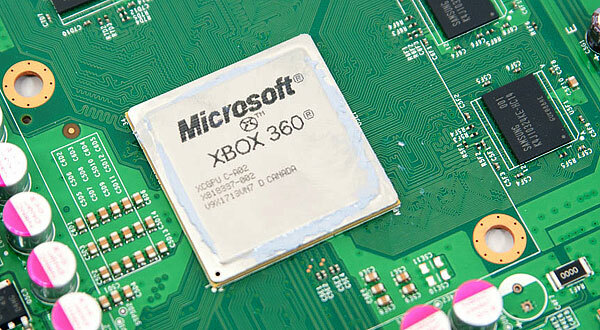 The last revision of the Xbox 360, codenamed Jasper, was supposed to fix the infamous RRoD problem. So far my Jasper has been running fine. While Microsoft never confirmed the cause the RRoD seemed to be a result of poor cooling and manufacturing issues (either at the die/underfill level or at the solder level or both). The internals are mostly new, featuring for the first time a single chip with CPU, GPU and eDRAM. 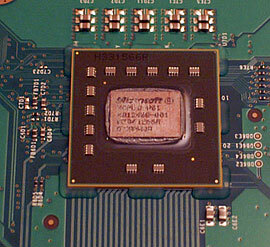 Prior to this motherboard revision the Xbox 360 motherboard had two discrete packages, one with the CPU and one with the GPU + eDRAM. 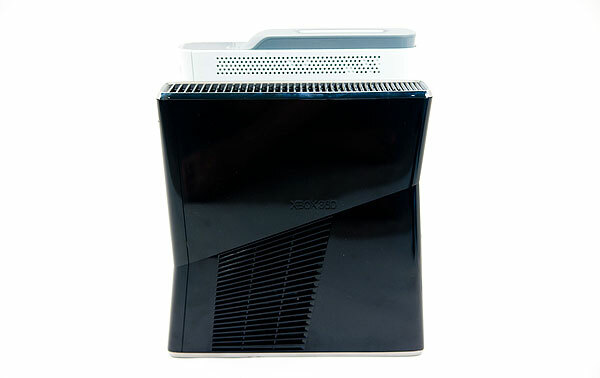 For those of you who don't remember, ATI originally designed the Xbox 360's GPU and called it Xenos. The GPU was the first we ever looked at that used a unified shading architecture, so there were no dedicated pixel or vertex units. The core was made up of 48 shader processors and each SP could work on a vect4 plus a scalar op in parallel. These days we'd probably call it a GPU with 240 cores, although it's a bit dated from a functionality standpoint. The GPU runs at 500MHz and is also home to the memory controller. On a separate die, which ATI referred to as the daughter die, was 10MB of embedded DRAM along with all of the hardware necessary for z and stencil operations, color and alpha processing and AA. This eDRAM and associated logic helped Microsoft bring AA to games and improve overall performance compared to what was possible at the time with conventional architectures. 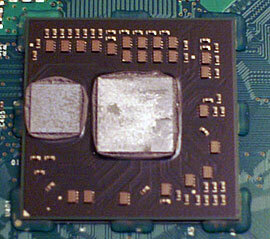 The CPU, codenamed Xenon, implemented three in-order PowerPC cores with SMT support - meaning the whole chip could work on six threads at the same time. The design was ahead of its time but given its 90nm manufacturing process it only had 1MB of L2 cache to share among all three cores. These days it isn't really considered the ideal approach to a many-core CPU. Private L2 caches with a large shared L3 cache is preferred for scaling beyond two cores. Bringing it all onto (presumably) a single die makes cooling much simpler as now there’s only one heatsink and one fan for all of the major heat generating components in the unit. This level of integration is made possible only by the not-so-magic of Moore’s Law. At 40nm it shouldn’t be a problem to bring all of those components onto a single reasonably sized die, which in turn reduces Microsoft’s manufacturing costs. It’s not totally clear whether Microsoft is building these chips on a 40nm, 45nm or 55nm node. The 40nm approach would make the most sense but TSMC is very capacity constrained at this point so it would be a slow ramp before all Xboxes got the Valhalla treatment. Update: Apparently 45nm is the magic number. The new CGPU is rumored to be made at Chartered Semiconductor, now under the ownership of Global Foundries. The uncertainty is because of a pesky heat spreader. 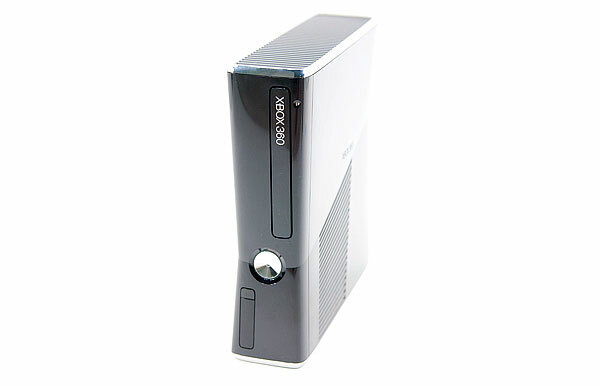 While previous Xbox 360 CPU/GPUs were visible to the naked eye once you popped the heatsink off, the Valhalla design has a heat spreader covering the Xbox CGPU (Microsoft’s term, not mine). 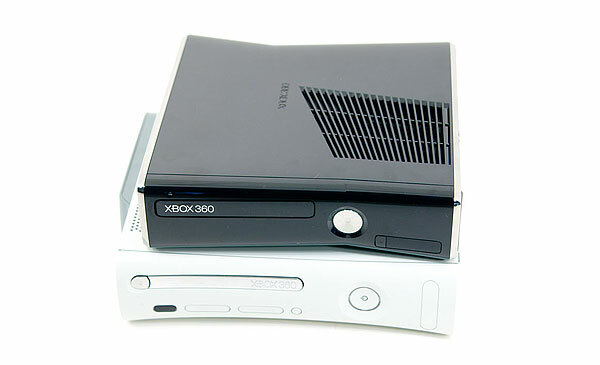 Unwilling to potentially kill yet another Xbox 360, I’ve left my heat spreader intact for the purposes of this article. 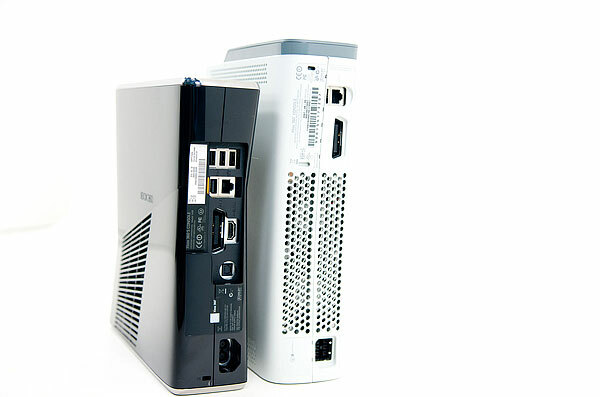 What follows is an entire dissection guide for those of you who want to get inside the new Xbox 360 (for whatever reason you might have ;), as well as some power/noise information for those of you contemplating the upgrade.